If you can afford it, 4K monitors are great. If you are on a budget, however, 1080p is still totally passable. They work perfectly with all operating sytems -- Windows, macOS, and Linux-based -- without any scaling issues. In other words, it is generally a headache-free experience. 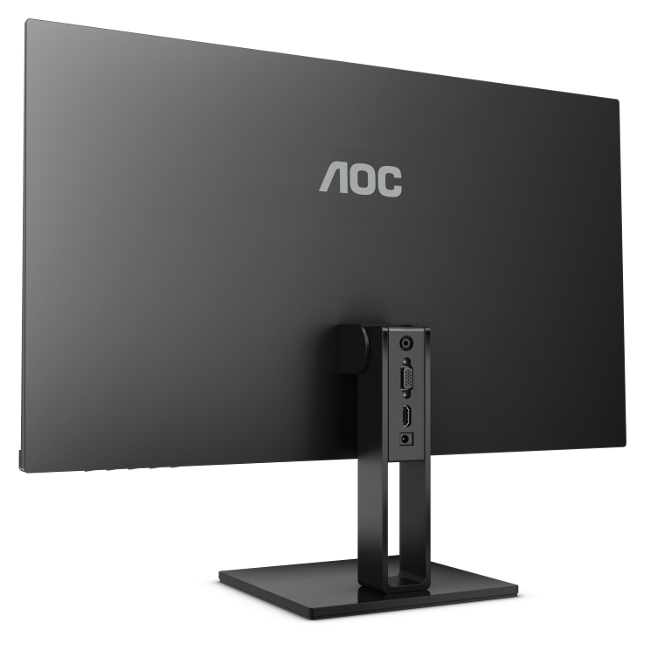 Today, AOC launches a new affordable "V2 Series" line of 1080p monitors, and they look incredible. How affordable are they? Pricing starts at a mere $99.99! There are three sizes from which to choose -- 22-inch, 24-inch, and 27-inch. The bezels are insanely slim -- great for those that want to use two side-by-side. Despite being inexpensive, these monitors are not no-frills. Believe it or not, they have AMD FreeSync technology and a respectable 75Hz refresh. "In addition to looking modern and attractive, the V2 Series' frameless design enables seamless multi-monitor setups for professional or home use. Users won't need to worry about large black bezels hampering their productivity. 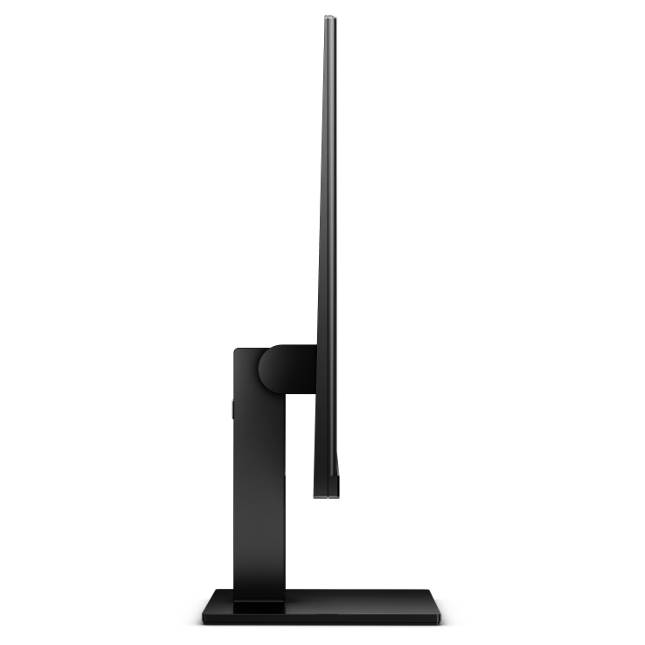 The line's borderless display offers a detailed 1920x1080 resolution and fast 75Hz refresh rate. The panel has viewing angles of 178 degrees, allowing user to enjoy consistent color uniformity and accuracy at all angles. The V2 line also has a 20M:1 dynamic contrast with a 5ms response time, and features several different inputs, including one VGA and one HDMI for connectivity of all users' high-quality digital video and audio devices," says AOC. 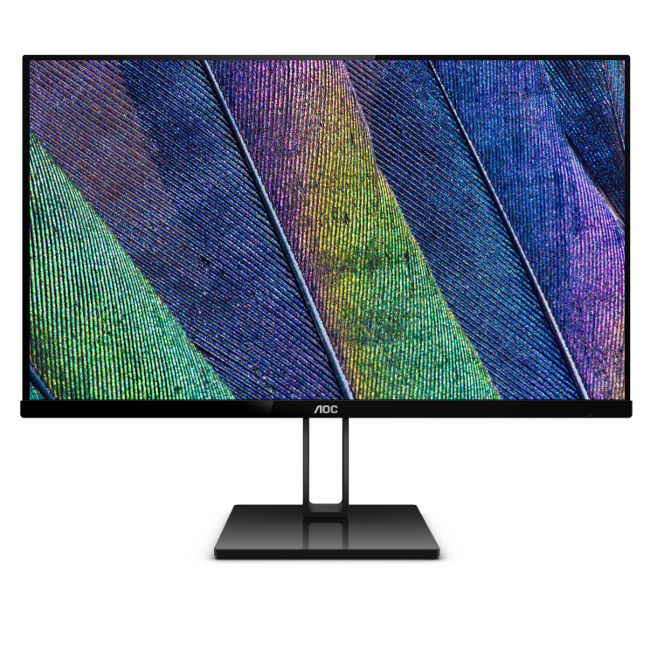 The company further says, "Additionally, the display uses AMD FreeSync technology for a seamless synchronization of GPU and monitor refresh rates, without sacrificing performance. This technology delivers a gaming experience with zero tearing or stuttering and no input lag when playing games or watching video." AOC shares the following specifications. All three sizes are available immediately from Amazon. The 22-inch ( 22v2h) is $99.99, the 24-inch ( 24v2h) is $129.99, and the 27-inch ( 27v2h) is $169.99. Among all three sizes, my pick would be 24-inch -- the sweet spot for 1080p.